I took advantage of the three day weekend and after the gym followed by shopping made some time for myself and the couch. 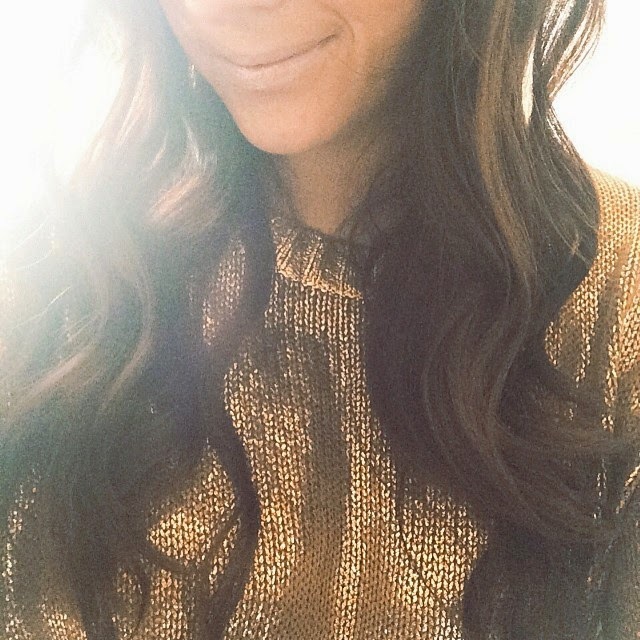 My to do list is getting long but dressing for a casual sunday to get some blogging done was a must. I received the J Brand skinnies in the mail this week (a late gift from Lucky FABB) and was instantly obsessed with the fit and inner leg detail. 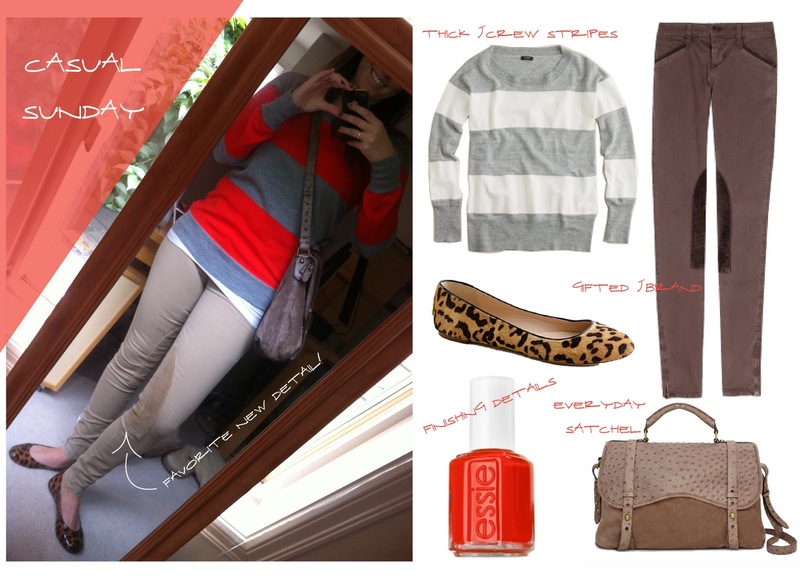 Just added a wide striped sweater and leopard flats to give my simple combo some interest. I really love the details on the pants. It's almost like knee pads haha. that whole outfit is really cute. looks pretty comfy too. j.brand anything is a pretty awesome gift! the inner leg detail is really nice too. Gorgeous... I love this outfit. The stripe sweater needs to be mine! Psst - love that you got the Jodpurs - so cute! I have to have everything leopard in my life right now, so why haven't I bought any leopard flats?! Loving the wide stripes too, they never fail to look great!